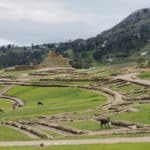 Join this 3 or 4-day trek and explore the ancient Inca ruins of Ingapirca in Ecuador, along Pablo, an IFMGA certified guide. The almighty Inca Empire was at its height a vast land extension from what is now the north of Ecuador to Central Chile. Today I invite you to join me in a 3 or 4-day trek and discover the remains of this outstanding native culture. We will hike from the village of Achupallas to Ingapirca (Inca Walls). It’s the most popular Inca ruin in Ecuador. We will hike along the ancient Inca road network and ruins. I will be happy to guide you along these days! At the end of the third day, you can choose to extend the program. And on the fourth day, we can explore the city of Cuenca, a UNESCO World Heritage Site. During 3 days, we will have the opportunity to explore small rural villages. So, we will be able to contrast the remains of the Incan culture with the nowadays lifestyle of the indian farmers. 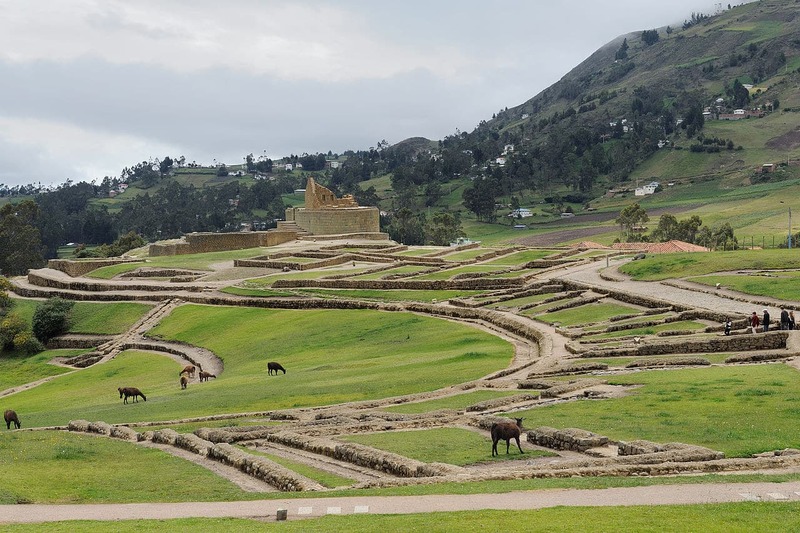 Ingapirca, or Inca Walls, was built about 500 years ago. The Incas built it on top of the site where the priests used to adore the moon. What we find today is one of the finest samples of imperial Inca construction in Ecuador. The buildings were constructed with trapezoidal window and niches and close fitting mortarless stonework, characteristic of the Incan architecture. Also, at Ingapirca, we will visit The Temple of the Sun. It’s the most prominent structure at the complex, an elliptical building. Then, we will see another and revered natural rock formation, called the Cara del Inca (Inca’s Face), with a carved throne and small channels. This may have been used for spiritual and offering ceremonies. We will cross through grasslands, surrounding the Sanasuin Lake to the Tres Cuchillas Point. Then, we will visit the Paredones ruins. This was the Diorite mine that provided the stone for the constructions at Ingapirca. Besides, we will visit Tambo Cajón, a small village, and finally we will get to the ruins at Ingapirca! We will hike from 4 to 6 hours each day. Most important, I will take you along the trace of a commerce route used by Inca and pre-Inca cultures. Also, the trail will take us through many hidden alpine lakes in the Andes. We will enjoy the view of the mountain range and a beautiful cultivated valley below. So, if you want to join me in this interesting trek to Ingapirca, contact me! We will have a great time exploring the Inca culture, surrounded by amazing scenery! You can also check my Chimborazo Fauna Reserve trek and discover the amazing biodiversity of Ecuador. 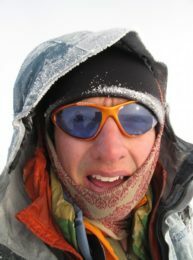 We will meet at Riobamba at 6.30 am and drive to Achupallas (3400 m). We will get there at 9.00 am and start our 6 hour hike to Las Tres Cruces Lagoon. Later we will have dinner and enjoy the night under the start at our campsite. We will hike 5 hours to Paredones ruins, where we will explore the ancient site. Then we will relax and have dinner, while camp is pitched. Today we will hike to Ingapirca! We will stop for lunch at the small village of Tambo Cajón. From there, we will be able to see the distant Inca Walls. At 2.00 pm we will arrive there. We will enjoy a guided tour of the site and explore the cultural museum. Then we will drive back to Cuenca or Riobamba. Today we will enjoy a city tour in Cuenca, a UNESCO World Heritage Site. It is also home to thriving, vibrant craft markets!